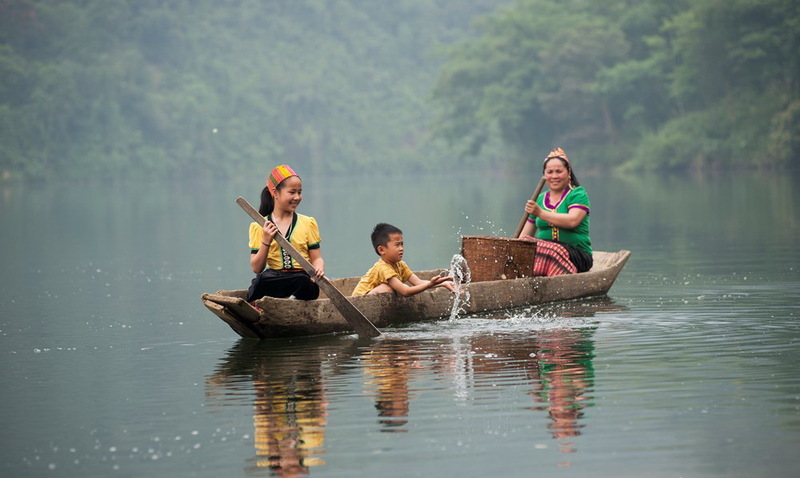 Along the legendary Truong Son trail coming to green cities of the majestic mountains in Tay Nguyen, visitors can enjoy the taste of Ban Me coffee, visit ethnic minority villages, stroll on the Serepok Swinging Bridge or be interesting with dugout canoe rowing smoothly on Lak Lake or ride Elephant in Ban Don. 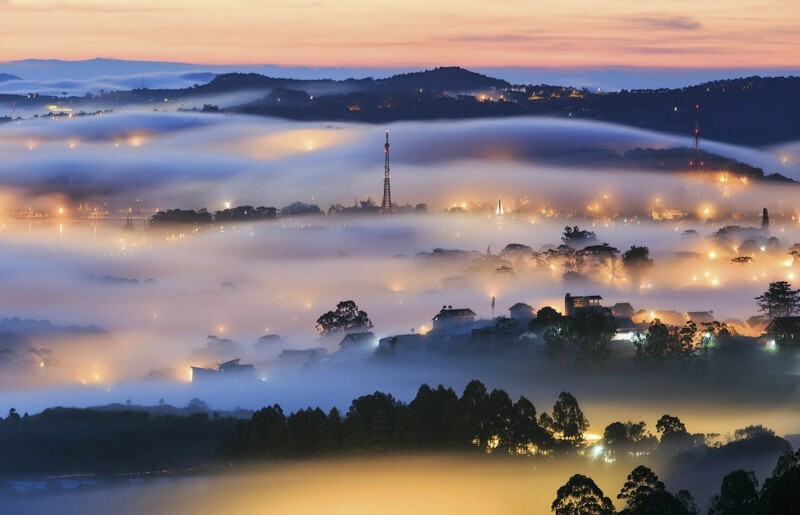 Besides that, tourists can visit the paradise of flowers – Dalat city with thousands of colorful blooming flowers promise bring to you the most meaningful trip. It is interesting to discover the Central Highlands. Beyond the majestic wild nature, the typical cultural feature of the local people from Gong’s music to traditional dances also attracts tourists. 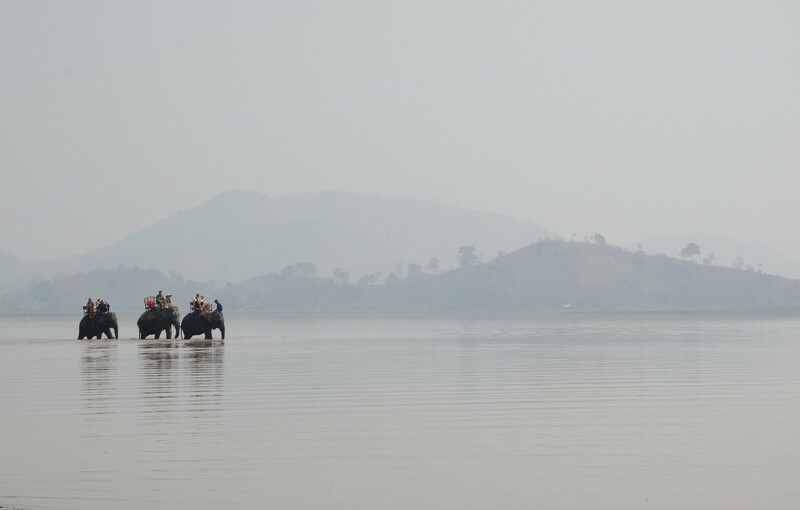 Travelers also get closer to the simple life of the indigenous people here. Check-in hotel after 14:00. Check-out hotel before 12:00 (noon). 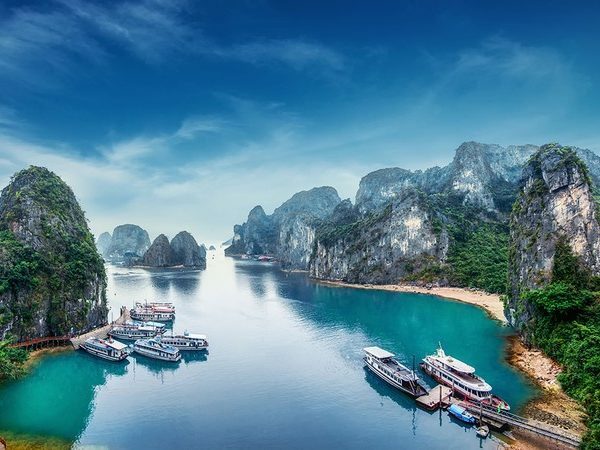 Ho Chi Minh City – Dalat – Central Highlands – Hoi An package is organized by Dalat Trip – a professional tour operator for inbound and outbound tours with high quality and reasonable price. Your trip will become perfect by our friendly, comprehensive and enthusiastic tour guide; courteous and friendly driver; and good air-conditioned vehicle. You can enjoy specialties of indigenous peoples in places you will come. Going on the legendary Ho Chi Minh trail (Truong Son trail) with the monumental battlefields. Be introduced about the interesting historical information reflecting comprehensively of the Vietnam War. 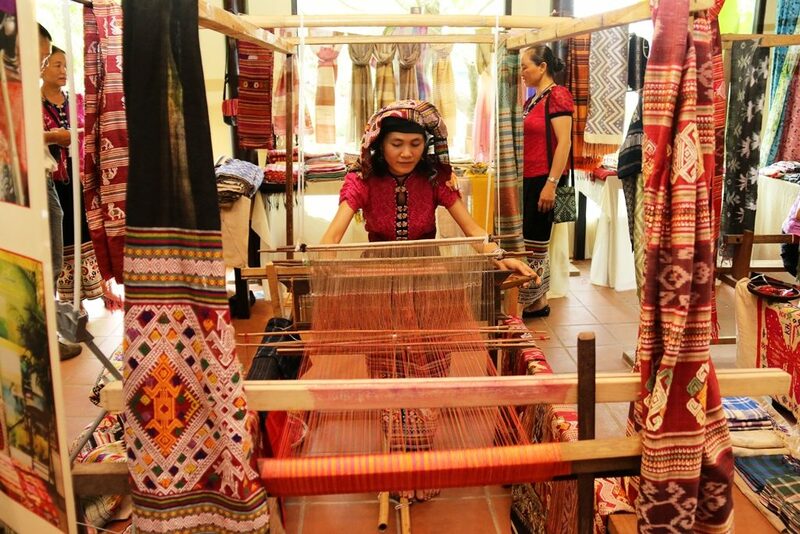 Exchange and learn about the culture, customs and daily life of indigenous tribes: E De, Mnong, Ba Na, and Giarai. Visit farms which are planted with typical tropical plants: pepper tree, rubber tree, coffee, tea, mulberry…. 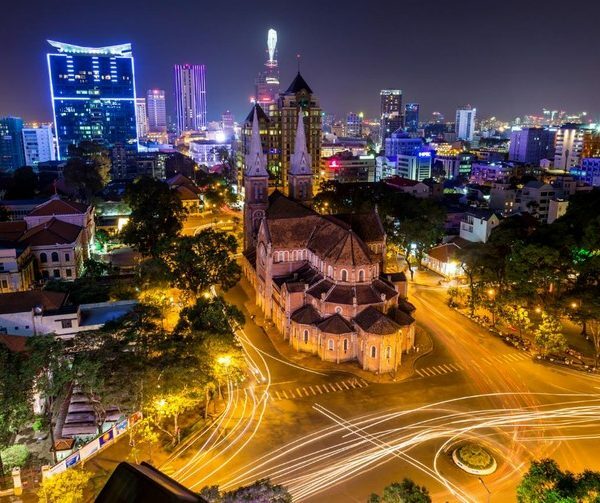 Visiting famous and beautiful places of Ho Chi Minh City, Dalat, Buon Ma Thuot, Pleiku, Kon Tum…. Enjoy the fresh and cool air of countryside area. We will pick you up from Tan Son Nhat intl airport and transfer to the hotel located in city center of Ho Chi Minh City (District 1). 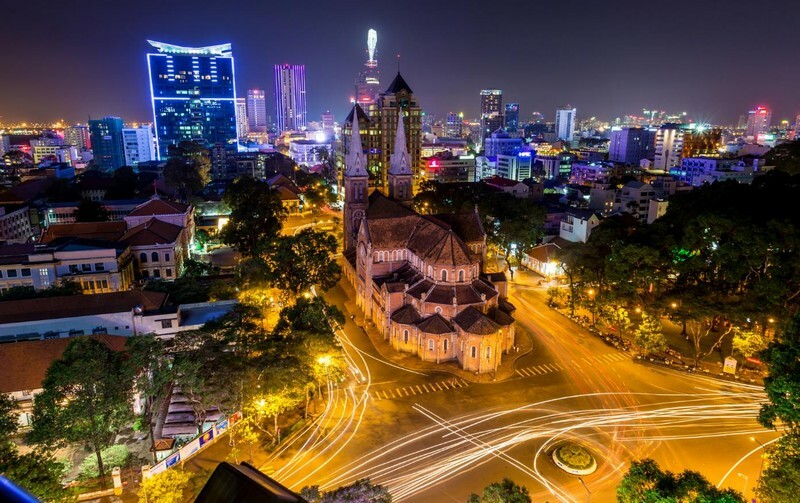 It’s easy & free to go for a walk and discover the night life of Saigon. Morning: After having your breakfast at hotel, we depart to Cu Chi Tunnel a famous underground military base in the world. This is a unique military wonder of guerrilla warfare with about 250 km of tunnels as spider web under the ground, there are works associated with tunnels such as trenches, earth breastwork, dinning bunker, sleep bunker, meeting bunker, medical bunker, food storage, wells, Hoang Cam stoves…. Afternoon: Visit Re-unification Palace is a monumental and unique architecture in Ho Chi Minh City; it was formerly President’s residence and office in the period of the Republic of Vietnam. Notre Dame Cathedral, the unique French architecture that has still been august at the heart of Saigon after hundreds of years, and being always a favorite destination for tourists. General Post Office is known as one of the typical architecture in Ho Chi Minh City with western style and oriental decoration. The last spot of the day will be Opera House which was inaugurated in 1900. After breakfast, our car will take you to Dalat city with the route about 300 km, through rubber tree plantation, cashew nut, coffee farm, tea plantation…. We will stop on the way to enjoy free tea and coffee, visit Pongour waterfall is considered the largest waterfall in the South of Vietnam. Arrive in Dalat city around 17:00 and check-in hotel for a rest. 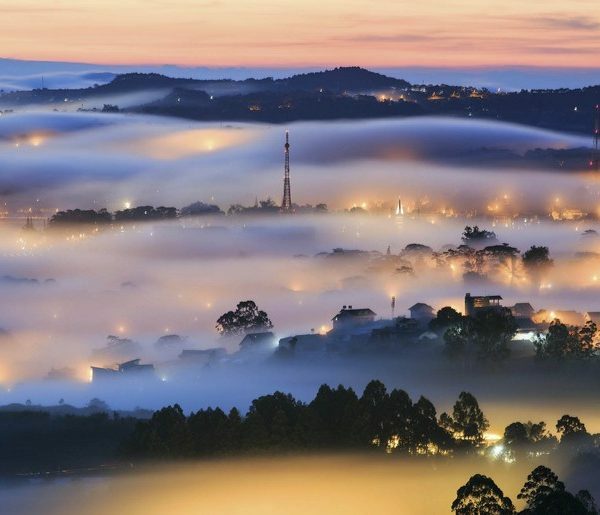 Morning: You will transfer to Langbiang Mountain for the Jeep (cost is excluded) going up the peak 1950 m above sea level to enjoy fantastic views of Silver Stream, Golden Lake, forest and whole Dalat city. Get a lot of nice photos in The City’s Flower Garden for a plentiful collection of flowers. Datanla waterfall with gorgeous water curtain and can be approached by the roller coaster. You will have a different feeling when being in Crazy House; the unique architecture has made the house looks like rock, spider web, tree… in a fairy tale. 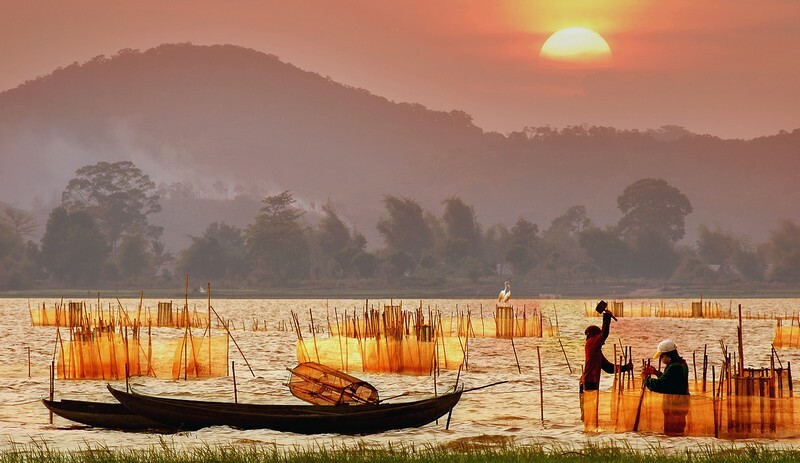 Afternoon: You can visit Tuyen Lam Lake looks like a paradise with the Truc Lam Zen Monastery known as the biggest Zen University in Viet Nam. Please dress decently in very quiet scenery beside its beautiful flower garden, which is built on the top of Phoenix Hill. Continuously, stop at Linh Phuoc pagoda with the admirable architecture was built from debris of glass, pottery and porcelain; being surprised with the unique Guan Yin statue from immortal flowers and the strange dragon from 12 thousand bottles of beer. Last spot is Dalat Railway Station which is the oldest and the most beautiful railway station in Indochina. You will begin your journey through the Central Highlands to explore the wilderness that is home to the ethnic minorities in Vietnam. Car flies on beautiful road with plantations, primary tropical forests and majestic mountains to reach Lak Lake. On the way, you can visit: Flower Farms, weasel coffee farm and try this coffee, Rice wine making workshop, Cricket farm for tasting fried crickets, Silk factory, fantastic Elephant Waterfall, and Linh An Pagoda with the big happy Buddha. At the other side of Lak Lake, you can take a walk for two hours trekking around the M’nong ethnic minority village to see their daily life. Stay overnight in Buon Ma Thuot. In the morning, you will visit Museum of Ethnic Minority Cultures is the exhibit of more than 1000 valuable artifacts divided into 3 main exhibition spaces: Biodiversity showroom (local plants and animals), Ethnic culture showroom (indigenous peoples: E De, Mnong, Giarai and other groups), and the showroom of History with artifacts left after the war. After walking along Buon Ma Thuot market to have a look the daily life of the local people, you will transfer on Ho Chi Minh Trail through pepper farm and rubber tree plantation to Pleiku which is famous for the volcanic crater (Sea Lake) and the old battlefields. Stay overnight in Kon tum. 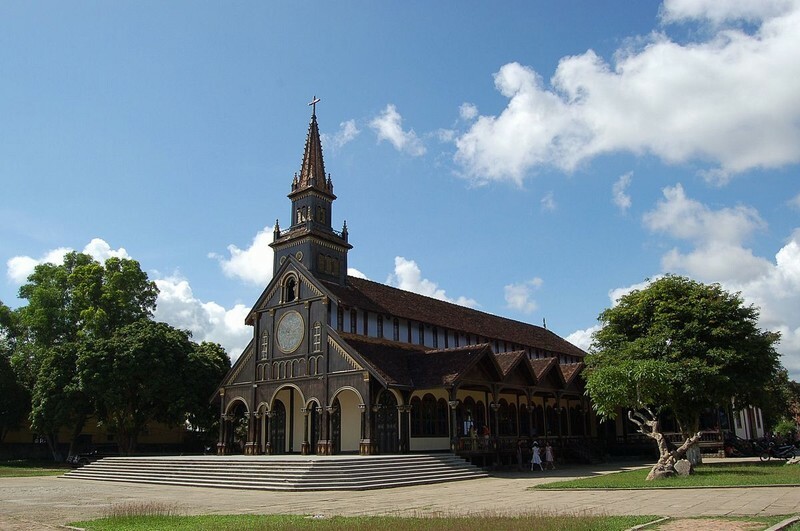 Morning: You will do Kon Tum sightseeing tour with: Wooden Church (Roman Catholic Diocese of Kon Tum), a masterpiece designed following Roman architecture style in harmony with Ba Na’s stilted house style bring the culture and beliefs of the people on the plateau from the characteristic of the pattern details to construction materials; here you can also visit Orphanage and Bishop’s House. Keep going to Ba Na Village – one of the three most populous indigenous peoples in the Central Highlands, admiring the beautiful Rong house and Iron Suspension bridge. 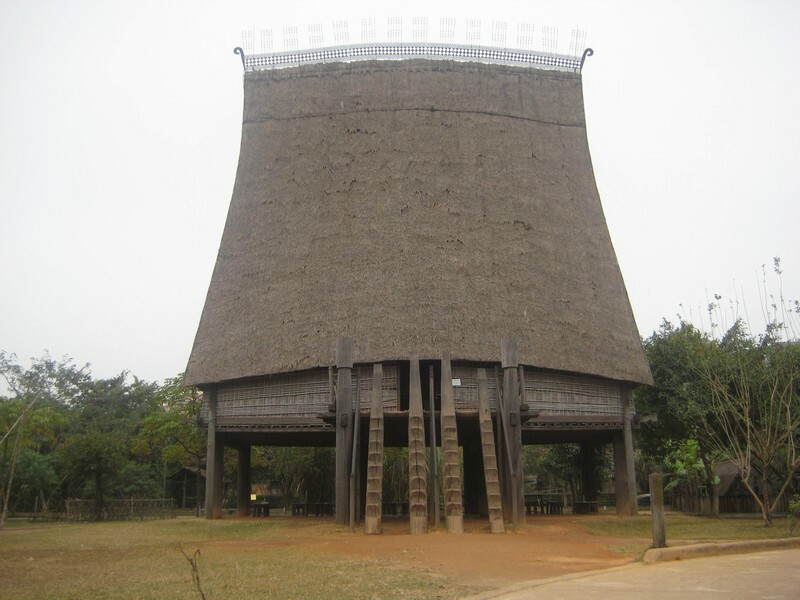 The last spot of morning will be Kon Tum Prison with lots of interesting historical information. Afternoon: We go to Hoi An with some stops on the way: Dak To Battlefield and Charlie hill where happened the fierce war as highlights in the history of Vietnam. End of the trip in Hoi An. My wife and I have just finished the most amazing tour – the Central Highlands in Vietnam. We went by car with driver and English speaking tour guide, starting in Saigon and ending in Hoi An. 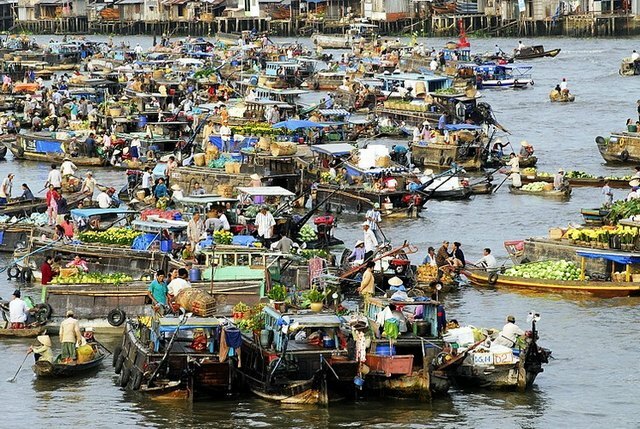 The guide will show you an entirely different side of Vietnamese life. Our tour guide is very knowledgeable and answers all of your question from anything to farming, silk, politics and the lives of all the countless ethnic minority groups. Our favorite part of the trip was lunch and dinner. 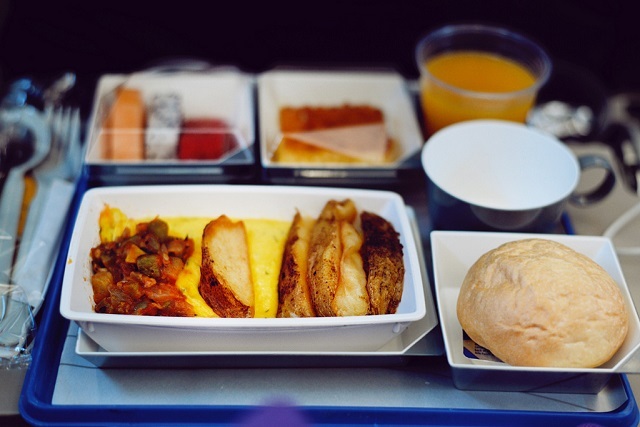 We would order the food and it would be an absolute feast. Such a good feeling! It’s difficult to summarize such an experience, so our best advice would be – do it! 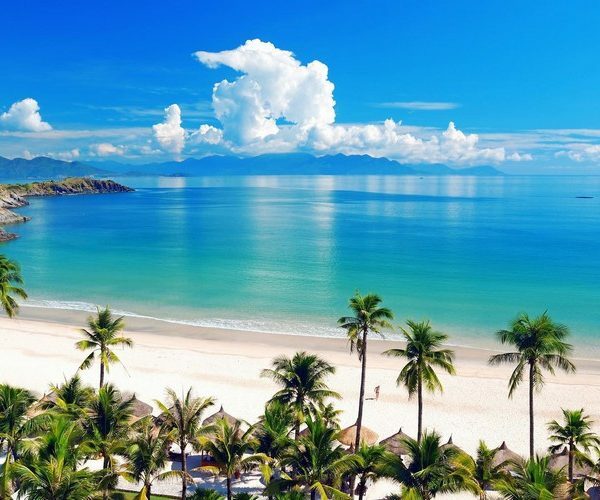 Vietnam est le plus beau pay, c’est la premier fois, moi et ma famille, on visite ce pay. J’ai réservé le tour avec Dalattrip et j’étais vraiment content du service. Surtout, M. Tien était notre guide touristique. Il nous a accompagne pendant 7 jours au Vietnam. Il parle super bien l’anglais avec beaucoup d’expériences. 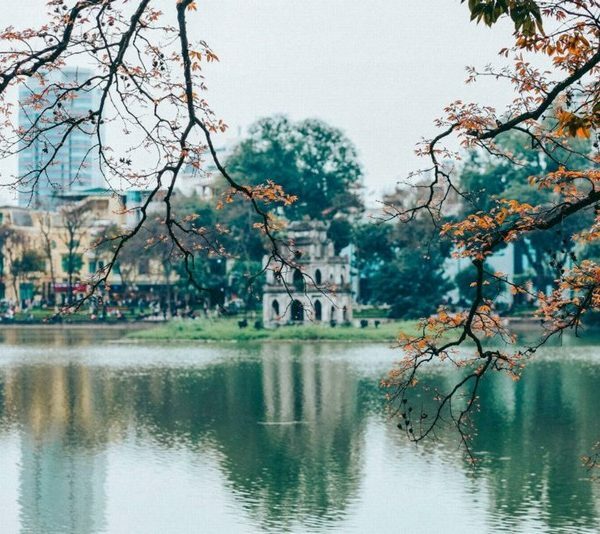 Nous avons passé Ho Chi Minh ville, Dalat et surtout Buon Ma Thuot, la capitale du café au Vietnam. Ca me plait beaucoup car j’ai vu beaucoup de choses au Vietnam. Les gens sont tres aimables et nous avons goutes beacoup de specialités Vietnamiens. 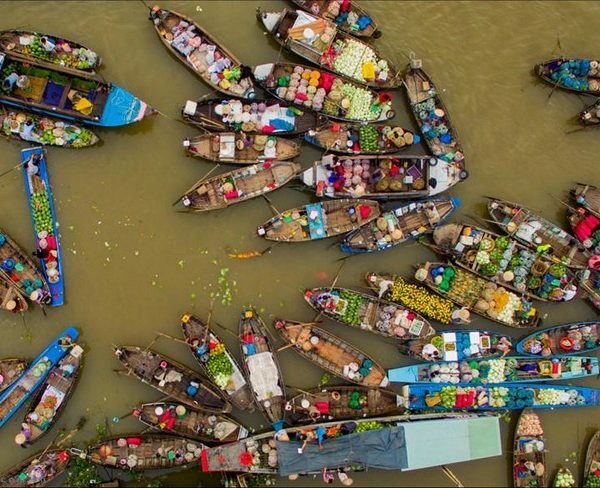 Surtout, un grand merci pour Dalattrip a nous aide pour l’excursion au Vietnam et aussi M. Tien, un super guide touristique. We are so glad we took this journey with my tour guide Mr. Le from Dalat Trip Jsc. Besides my driver is a very safe and we had no concerns whether in city traffic or on the open road. We travelled in the comfort of a car so were unconcerned by a few tropical downpours on the way. He helped us find suitable lodgings and food stops along the way. Mr Le spoke great English and we had some fine conversations about differences between Vietnam and our own country. We made a strong personal connection with Mr Le which was an unexpected bonus. Mr Le was also knowledgable about minority villages and poor communities. We bought 60 notebooks and pens in Dalat before we left and were able to distribute these to delighted children in the hills. If we had twice as many, that would have been better. These make great donation items. Don’t buy lollies. We covered 1000km in the seven days and can thoroughly recommend Mr Le and Dalat Trip Jsc for any other travellers who want to get off the tourist trail for a taste of the real Vietnam.